EASTER EVENTS IN MARBELLA - In Marbella Easter or "Semana Santa" is the kickoff to the warm weather season when tourists start to flock to the beach and beach clubs and restaurants (chiringuitos) shake the dust of the beach chairs and open their doors to the public after a short winter break. Prices start to rise and the crowds get thicker as tourism jump starts for a new season. Post a Costa del Sol or Marbella Easter Event Right Here! Do you know about a great upcoming Easter Event that you'd like to share with families here? Schedule of events for Easter? Just wondering where I can access times of easter processions for both San Pedro and Marbella. Community service opportunities during Easter break? Is La Canada Open On Easter Monday? Can you advise me if there is an Easter procession in Marbella on Good Friday April 18th. As I am a visitor at that time. Easter Sunday Buffet at the Kempinski Hotel Bahia! Want to have your Chocolate for Easter and still be healthy? Family Fun Day Nagueles was excellent fun, our little boy loved it, well done to all who took part, even the weather for a bit. The event was well worth the journey for us and our little boy loved the bunny and the chocolate. The Foundation of Friends really did a great job and the dancing was great. Also like to say an excellent job to the caterers, my god they had there work cut out, 2 guys really worked hard for so many people. Loved the Pig. A great day for all. Saw lots of nice chocolate Easter eggs in all sizes and combinations today at Marks & Spencer at La Cañada. Even had a huge one at €50. Stop & Buy English supermarket in Estepona is now stocking chocolate Easter eggs and other holiday treats imported from the UK. The store is open everyday from 10:00am - 9:00pm and is located in the Commercial Center La Galera Park (Albayt Roundabout) off the N340 highway exit Km. 148.5. For more information call 951 277 444. Sunday March 24: POSTPONED! 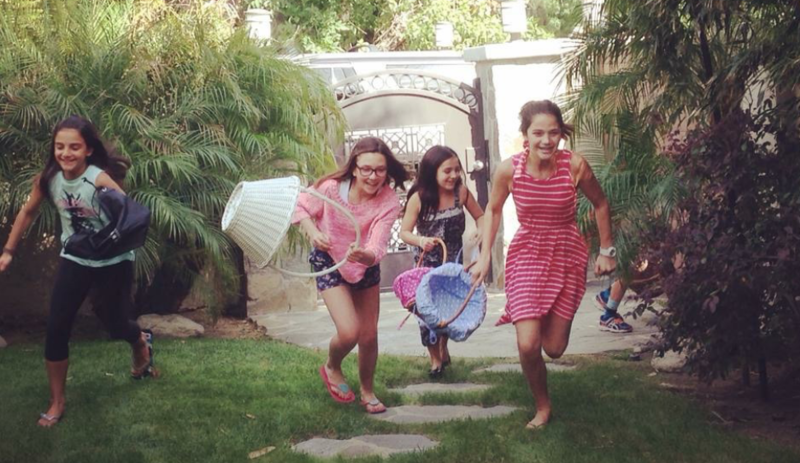 Easter family fun day at Rancho del Rio. A fun day for all the family, egg hunt, treasure hunt & games(including egg & spoon). Prizes for Best Decorated egg competition, (under 7's. 7 's-11's . 12's-18's & adults) BBQ , drinks & snacks, Bouncy Castle, & of course Pony rides. March 25 - April 5: Atletico Las Chapas is holding a fun Easter camp for boys and girls of all ages. From 10am - 1pm Mon - Fri. Football games matches, tournements as well as Mini-golf and Tennis. 15 euro per day or 60 euro for the week. March 25 - April 5: Funky Forest is organizing an Easter camp full of activities, workshops and games. In these 2 weeks enjoy an egg hunt, special easter art & craft classes, Little Chefs cooking and many more holiday activities. March 25 - April 12: The Multisports Club in Nueva Andalucia is holding Easter camp for the kids March 24 until April 12 10:00am to 2:00pm. This is a great place for the kids to burn off some energy and has a very flexible pay and play service. 5 euro per hour or 85 euro per week. Sunday, March 26 & 27: Children’s art camp is being at the Picasso Malaga Museum during Easter from 10:00am to 2:00pm for children aged 4 to 9 for only 25 euro on March 26 and 27. Thursday March 28 - April 1: Puerto Banus Easter Boat Fair - Enjoy the "Feria Nautica" at the port to visit more than 100 boats 17ft to 84ft and ready for sea trials.